Meshell Ndegeocello’s Can I Get a Witness? The Gospel of James Baldwin engaged more than twenty artists in its creation and performance that celebrated the legacy of the brilliant artist and poet. 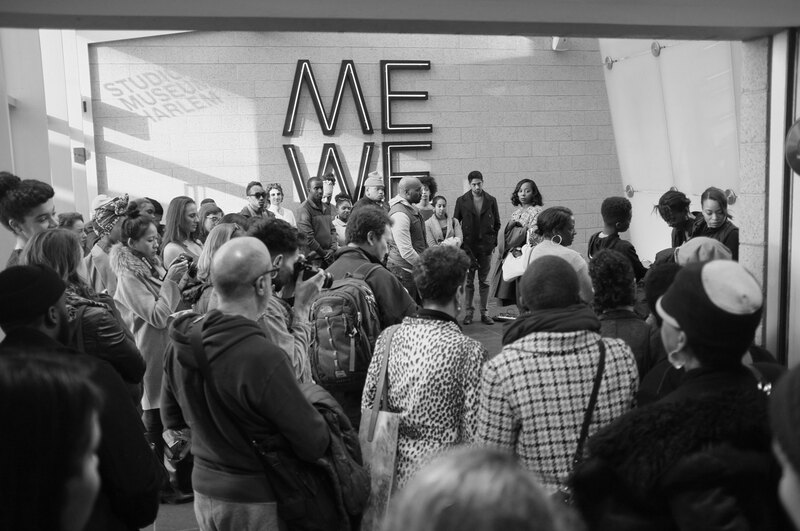 Nico Wheadon: Across our distinct institutional missions, we share a commitment to community and engaging the complex intersections of art and society. Often, when qualifying the impact and importance of an institution’s engagement with its community, somehow the nuanced, intersectional and catalytic role of the artist can become obscured. Let’s begin by affirming the roles artists play within our organizations. Pat Cruz: Our practice and reputation at Harlem Stage is in identifying artists who are making visionary statements about who we are as a society and culture and, more importantly, who they are so that we can see the world through their lenses. Our practice is primarily curatorial; we identify artists, geniuses from within our community, whose visions match with our mission, and then work to expand that vision. So the activism and art that emerge are essentially one and the same. Erika Dilday: At Maysles Cinema, we define what we do as the nexus of social justice and art. When you work so closely with the community, it is often difficult to identify where you draw the line around the artist. What constitutes an artist, and how do we define that in relation to our audiences while validating artists with broad levels of ability? How do we open the door for more broad types of raw, artistic expression from the community? These are questions we struggle with. Tina Campt: What I’ve learned from working with your institutions through Barnard’s Harlem Semester is the power of curation as a peda-gogical, activist and scholarly undertaking. The erasure of artists happens only if we don’t acknowledge their critical, activist power. Engaging artists who take risks, perform risk—that’s what connects us, allows us to look differently at how we deal with everyday life. I also have to emphasize that the matrilineage of our organizations in Harlem is not accidental; it really does shape the nature of the organizations themselves! The Studio Museum was founded by artists and is still deeply committed to bringing artists together with the Harlem community and beyond. TC: The other thing that you as arts institutions do is give artists a platform, a singular arena or avenue of critique. Even when presenting work that some audiences might not be able to understand—such as social critiques by artists of color—you allow artists to bring work into the world as a mirror reflecting something some don’t want to see. That is the real activism, rejecting the lens of the dominant perspective and embracing those of artists of color. ED: As an artist at Maysles, you become a member of an artist community, have a voice in what we do, and are encouraged to articulate how we can best support you. We try to treat our relationship with artists as a lifelong membership: We can be your fiscal sponsor, show your work and qualify your film. We turn filmmakers into curators who don’t just seek to show their work, but also seek to be part of discussing and programming it. PC: I would add to that incredibly important point, Tina. Some of us are thriving, but only barely when we look at the kind of support needed to do this work. We are still so far under-resourced, in staff and the funding required to do the work. Additionally, institutions of color also have expectations imposed upon us that predefine what communitybuilding is, and we frequently are in a responsive position rather than a proactive one in defining those ideas for ourselves. These are obstacles that we must overcome, and often do through collaboration.